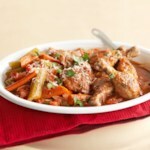 A classic Italian meal, this Chicken Cacciatore recipe is full of vegetables and herbs, making it both hearty and healthy. Preheat oven to 350°F. Sprinkle chicken with salt and pepper. In a very large ovenproof skillet with a lid heat oil over medium heat. Add chicken; cook about 10 minutes or until light brown, turning once. 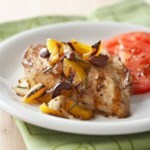 Remove chicken from skillet; set aside. Drain, reserving 1 tablespoon of the drippings. To prepare the sauce: in the same skillet cook mushrooms, onions, and garlic in the reserved 1 tablespoon drippings for 6 to 8 minutes or until tender. Stir in wine and tomato paste. Cook and stir for 1 to 2 minutes or until most of the liquid has evaporated. Stir in undrained tomatoes, thyme, and bay leaf. 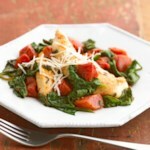 Arrange chicken pieces on top of the tomato mixture. Bring to boiling. 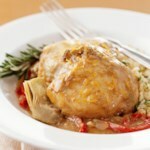 Bake chicken in covered skillet for 25 to 30 minutes or until no longer pink (170°F for breasts, 180°F for thighs and drumsticks). 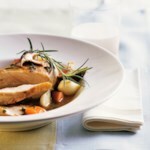 Remove chicken from skillet; keep warm. Discard bay leaf. Bring tomato-mushroom mixture to simmering over medium-high heat. In a small bowl combine the cold water and cornstarch. Whisk cornstarch mixture into tomato-mushroom mixture. Return to boiling; reduce heat. Simmer, uncovered, about 1 minute more or until thickened and bubbly. 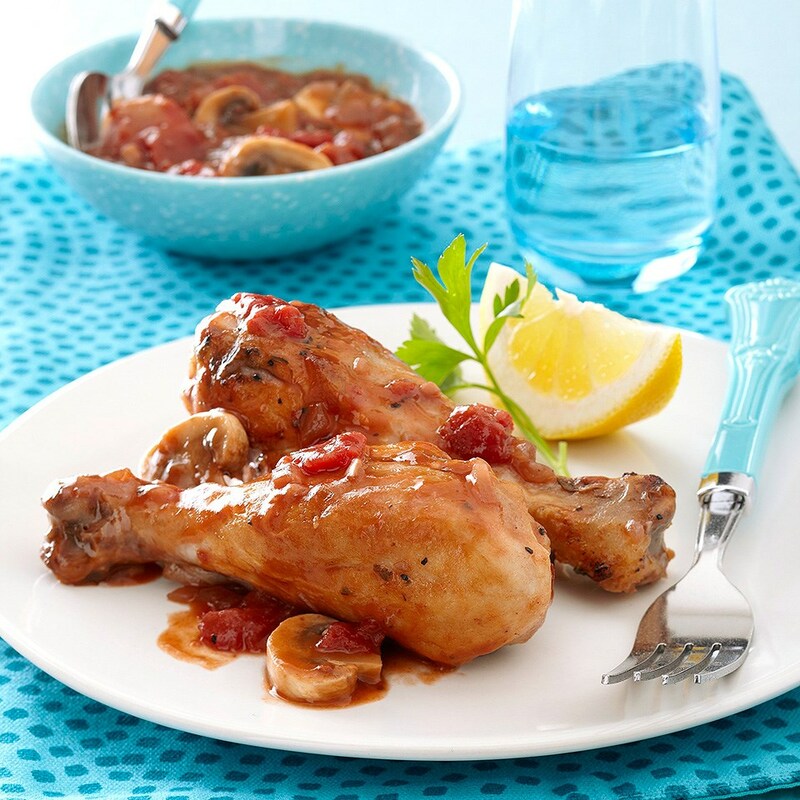 Serve mushroom-tomato mixture over chicken. Drizzle with lemon juice. 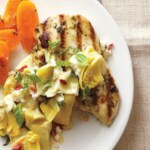 Serve with parsley sprigs and, if desired, lemon wedges.